ST. PAUL PARK, Minn., May 9, 2017 – Eleyo is a Bronze Stevie® Winner for Support Team of the Year. The goal of the Stevie Awards is to recognize excellence in the workplace throughout the world. Since the Stevie Awards were established in 2002, they have been given to businesses in more than 60 countries. Customer satisfaction: Eleyo’s software support team has a 98 percent customer satisfaction rating. Recommendation rate: Of school districts that use Eleyo, 95 percent would recommend it to other school districts. Ticket volume: Eleyo’s software support team responds to an average of 14 calls and 38 tickets every day. Response time: The software support team responds to each ticket in an average of 23 minutes. Successful upgrade: From January to February 2017, Eleyo supported more than 50 school districts through a software platform upgrade. The support team maintained their high satisfaction and fast response team throughout the upgrade. 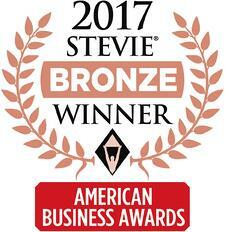 The Stevie Awards are part of The American Business Awards (ABA). The ABA is the only awards program in the country that judges businesses in any industry, including for-profit and non-profit businesses and government agencies. The complete panel of judges for the Stevie Awards includes more than 200 executives from across the globe. Each nomination is reviewed by at least five judges. Judges rate businesses on a scale of 1-10. And nominations that have an average score of 7.0 or higher win Bronze Stevie Awards. The criteria that judges score varies by category. However, to receive an award, the business must be innovative, effective and creative. The award will be presented to Eleyo at the 15th Annual American Business Awards banquet on Tuesday, June 20, 2017, in New York City. Eleyo is a comprehensive registration and program management solution. It is designed with administrators and families in mind. The cloud-based, mobile-friendly system gives program coordinators the technology they need to empower their families so they can better manage registration, contracts and payments online. The iPad sign in/sign out application, system-generated late payment fees, and schedule and attendance tracking are a few of the intuitive features customers love. All of this is backed by an award-winning support staff.